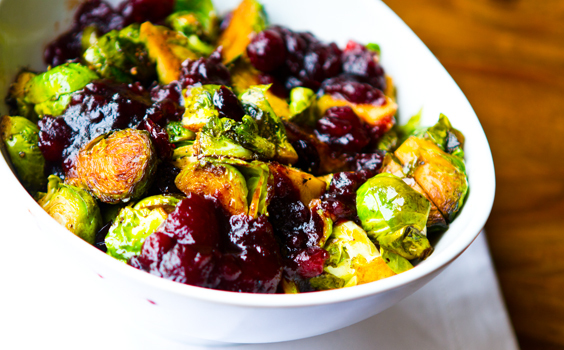 Cranberry Balsamic Brussel Sprouts. Holiday-approved. Yes, I'm swooning over sprouts. 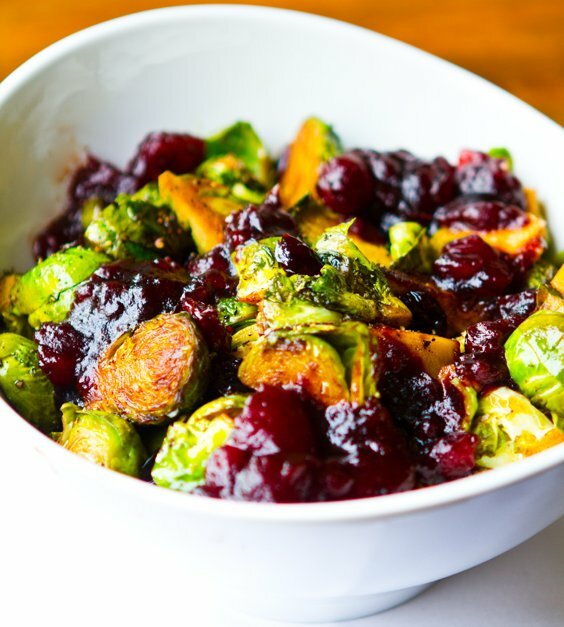 Sassy sweet cranberries meet tangy bright balsamic vinegar, pepper and olive oil as they slather perky green brussel sprouts creating shiny ribbons of purple and lime green. Brussel sprouts have a notorious reputation for being one of the "most hated" veggies out there. Those mini cabbage-shaped bulbs repulse children everywhere and send picky eaters into a snarled face frenzy of "I'm not eating those!.." But before you pass on all things "brussel sprout" simply out of fear that your family won't eat them - take pause. Try again. 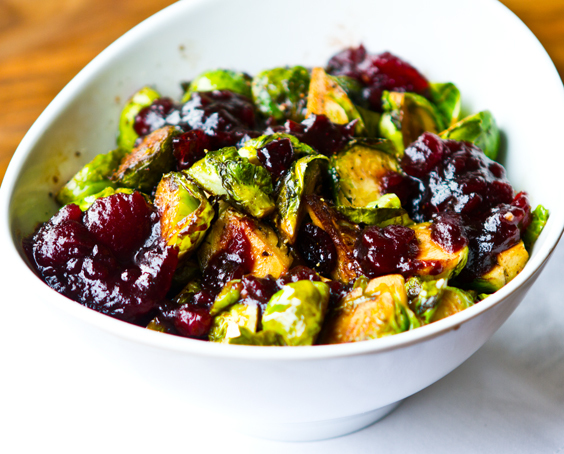 And use some much-adored cranberry sauce to coax even the picky eaters into tasting a bite of brussel. And if this dish fails to impress the sprout-haters in your life - well that's OK too because that just leaves more Cranberry Balsamic Brussel Sprouts for you!.. Why Eat Sprouts? They are oozing with nutrients. Rich in vitamins K, A and C. Potassium and iron rich. High in fiber too. More brussel sprout nutrition facts. 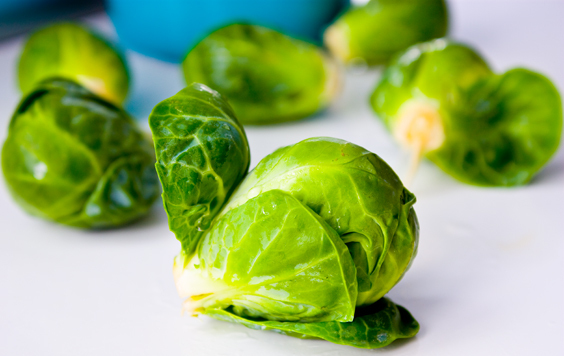 There are three ways you can approach the sprouts for this recipe. Your choice. Either way, I think you'll love these flavors. 1: (Healthiest) Steam the sprouts. Or boil/blanch. Instructions on blanching here. 3: Oven-roast the sprouts with herbs. The Flavor. 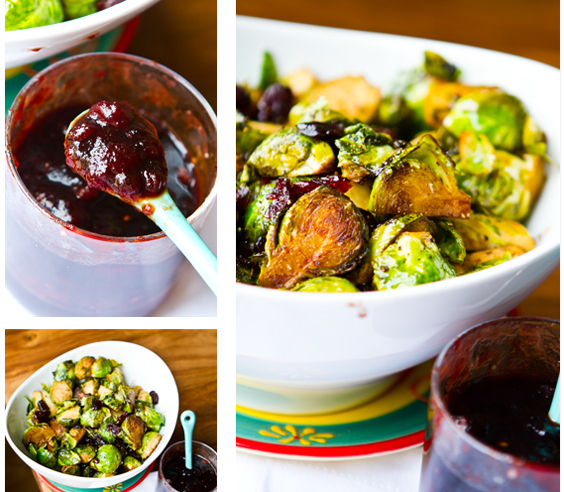 Sweet tart cranberry sauce meets tangy sweet balsamic in an all out brussel sprout flavor extravaganza in each bite. 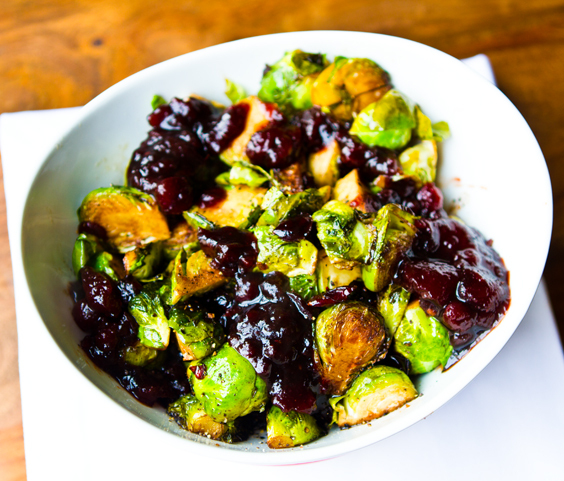 Whoever said brussel sprouts were bland, bitter and boring didn't try them infused with cranberry goodness. When it comes to the cranberry sauce you can use homemade (I used my Cranberry Concord Sauce) or you can use store bought. I like whole berry, but jellied will work too. 1. Wash and dry your sprouts. Remove any outer dead or browned leaves. Slice into halves and/or quarters. Quarter slices cook faster. Saute: Add oil to a hot skillet over high heat. Add in sprouts and 2 Tbsp balsamic. Add in 2 Tbsp water and cover with lid. Allow to steam cook for 2-4 minutes - or until sprouts become tender. Remove lid. Add another splash of balsamic. Saute for another few minutes. dd more water if needed. Add in dried cranberries, pepper and optional pecans. Remove from heat. Steam or boil/blanch: Steam sprouts until tender. Toss with dried cranberries, pepper, a splash of balsamic, optional pecans and salt to taste while still warm. If boiling, see link above. 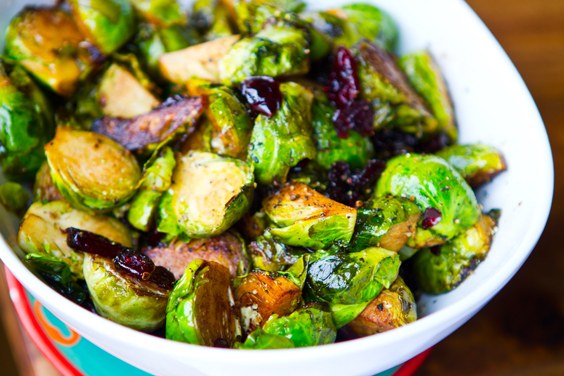 Roast: Toss sprouts with additional olive oil, pepper and a splash of balsamic. Place on baking sheet - add herbs if desired. Roast at 400 degrees until tender - at least 20 minutes. Remove from oven. Toss with dried cranberries and optional pecans. 4. 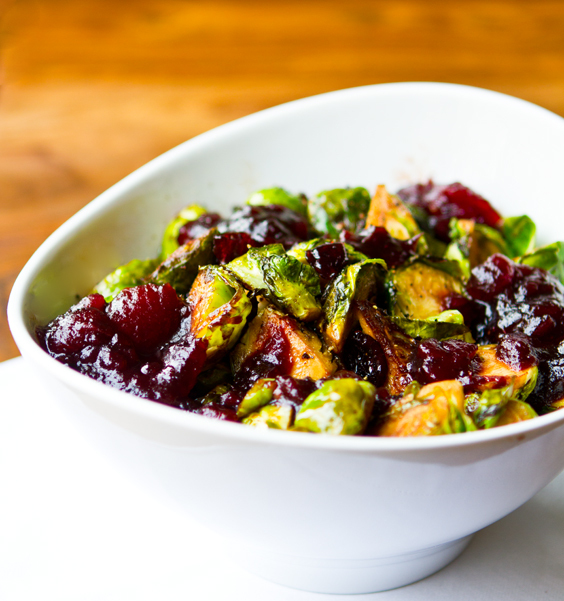 Place brussel sprouts in serving bowl - top with cranberry topping. Serve warm.